We hired Eddy Ray for our Son’s 6th Birthday party. His show was a big hit with the younger kids and the adults alike. Eddy was very professional and easy to work with. His set up was very professional and did not take a ton of space. His tricks are very good and leave even the adults wondering how he did it. My son is still talking about the magic man at his party. Eddy showed up when he said he was going to and stuck to our contract 100%. I got everything I expected! Wow!! We had a great time today. 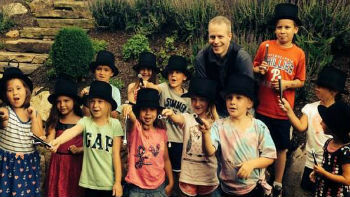 Magician Eddy Ray was great, even the babies were in awe as he did his amazing magic! Anyone looking for a Magician? Thank you Eddy Ray! Thank you for helping to make Andrew’s 8th Birthday such a wonderful party. The grownups had great things to say, the babies were in awe and the 8 year olds couldn’t take their eyes off of you and what trick you were going to do next. I never put together a party like this before but I will be passing along your name to all that will listen, we really did have a great day with your help. Thank you again!!! Hi Eddy Ray, We had such a successful, fun event! Thank you again for adding your magical touch. You were by far the hit of the evening. If you enjoy magic, comedy and illusions this is the best show in the area. Eddy Ray kept the crowd rolling in laughter. The children and parents enjoyed the extensive audience participation which was an unexpected bonus. And, the kids really loved the meet and greet after the show too. 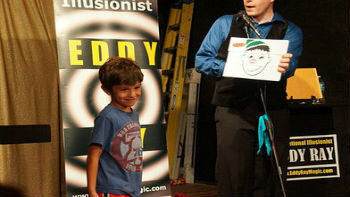 First-class, kid friendly comedy and magical fun! We highly recommend this good time for all. 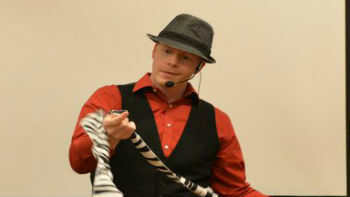 Let Eddy Ray bring his magical touch to your special event! My Brother got Eddy Ray for his sons first Birthday, there were a lot of kids there, but a variety of age group altogether. He did an amazing job at keeping everyone very engaged. 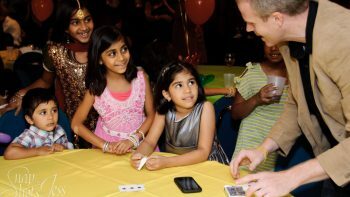 The kids were all able to join in and help with the magic, and he threw in very subtle, adult entertaining jokes as well to keep everyone interested, it was very quite the show. I'd imagine he'd be great for any event, 10/10. Thank you!